Ever since I moved to D.C., I've been on the prowl for a new set of wheels. Nothing too fancy, you see — this is kind of a tough town to own a car. I just need something small, reliable, practical, efficient and reasonably fun to drive. You know, like an older Honda Civic. But now, thanks to Craigslist, I found a Civic that's right up my alley. That's because it runs the quarter-mile in nine seconds. Allegedly, anyway. 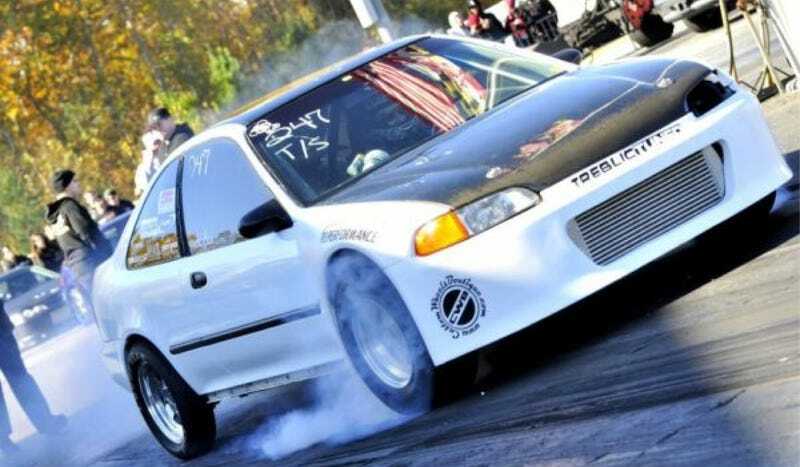 This 1994 Civic from Northern Virginia showed up on D.C. Craigslist with a laundry list of insane modifications, including a full 10-point roll cage, a blueprinted engine with a custom T4 turbocharger and intercooler, and a reworked suspension. The seller claims it has 850 horsepower and "has a lot more potential." If all this stuff is true, it's one obscenely badass Honda Civic. Sometimes when we do "Found on Craigslist," we rag on the ridiculous cars people try to sell, but this seems like a pretty commendable effort to me. Click here if the ad disappears. The seller is asking $16,000 for it. What say you, Jalops? Nice Price or Crack Pipe?